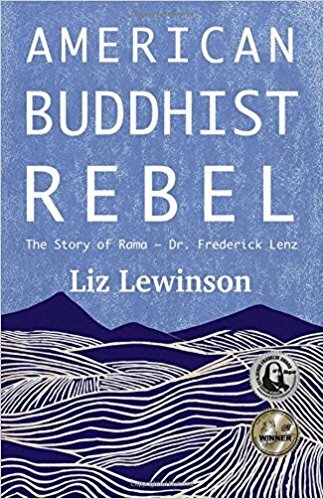 Winner of the 2016 Eric Hoffer Award, this acclaimed biography of the brilliant, controversial Buddhist teacher Rama - Dr. Frederick Lenz (1950 - 1998) tells the story of a free-spirited, sports jock teenager who transforms into an iconoclastic, innovative leader. Adventure, mystical journeys and breaking boundaries are the norm as reported by the 100+ students and colleagues interviewed by author Liz Lewinson. Meditation, the empowerment of women and career as practice are but three of the core teachings covered in this book. Dr. Lenz ran into opposition, of course, but he kept his priorities straight. “ As the two of them continued to talk, I began to notice great swirls of energy moving throughout the room. Currents of energy were swelling and shifting, running in a circular motion from the left to the right. They were filled with pain, grief, loneliness and frustration. As I sat in my chair in the Beverly Theatre, I saw something I will never forget. Rama began to pull all of this energy into himself. He sat on the edge of the stage in quiet conversation with a woman in pain, while transmuting the energy of each and every woman in the theater.